Is your cooling system struggling in the Texas heat? Call 281-704-3696 today for cooling system installation & repair services in The Woodlands at great prices. We will schedule an appointment to have one of our experts visit your home and inspect your cooling system, then offer the necessary solution. In a place like Texas, if you don’t have a quality air conditioning system to replace the intense heat, you’re going to be uncomfortable much of the time. When the heat bears down in the middle of summer, your home can end up feeling more like a sauna than a house. And forget about trying to sleep at night - open windows and fans just won’t get the job done. This is why keeping your AC in good working order through a reliable HVAC expert is so important. There’s a reason your neighbors in The Woodlands, TX keep requesting our cooling services. Click here to read their online reviews! Since the temperatures in Texas are high so much of the time, AC systems are often working hard and breakdowns are common. You may experience a malfunctioning air conditioner because of frozen evaporator coils, leaking refrigerant, damaged sensors, a blown motor or a broken fan. Anything that causes your system to blow lukewarm air, intermittent air, or no air at all should be investigated by a professional technician. If the repair bills are mounting and your AC system just doesn’t seem to be straightening out, you may need a full replacement. A new air conditioner will be more energy efficient and will likely provide you with a handful of important benefits over your current system. You won’t have to concern yourself with recurring repairs, and your cooling bills will be lower from the increased efficiency. If your current AC system is more than 10 or 15 years old and is exhibiting signs of wear and tear, speak to our team about a replacement. Whether your system needs a full replacement or just a few adjustments, leaving the job to professionals is the most cost-effective way to go. When an experienced, licensed technician takes on the job, you can be sure your warranty will remain intact and that the local building codes will be closely followed. You will also have an AC system that provides you with cool comfort during the hottest days and nights of the year. Having a sound, effective cooling system in The Woodlands, TX starts with having a high quality service provider in your corner. 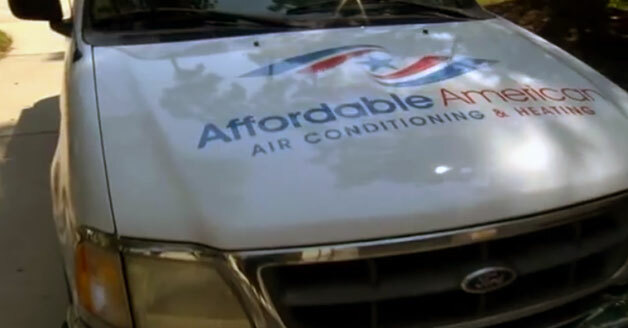 When you call Affordable American Air Conditioning & Heating at 281-704-3696, we will provide you with the best cooling service possible.